Yemenite Jewry is not only an ethnic group - it is a phenomenon. The culture they preserved for so many years is rare in its richness. 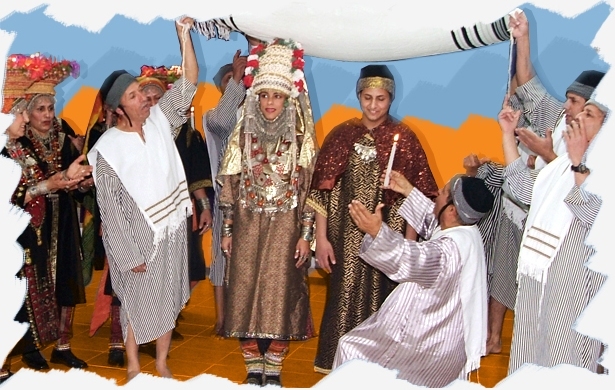 The Yemenite dance is unique and impressing with its beauty and delicacy. Yemenite dance is an excellent example of chamber dance in that it was performed in closed places with a very few number of dancers. The dance is inseparable from the singing, which is mostly taken from the "Diwan", a collection of poems in which the majority were written by Rabbi Shalom Shabazi, the greatest of Yemenite Jewry's poets. Yemenite Jewry is not one group. Jews lived in various regions of Yemen and every region had its typical songs, dances and customs. which is close to Taez, the second largest city in Yemen, located in the southwestern part of Yemen. The troupe also performs dances that were created in Israel and it shows the influence of Yemenite dancing on the Israeli dancing.